Looking back to your childhood, you probably remember how boring it was to do household chores. Perhaps, you still find the tasks annoying. Unfortunately, these tasks need to be done regardless of your perception. As such, it’s important to make chores more fun for your kids. That makes your children feel motivated as they undertake their duties. That way you can help build responsibility in your kids. Making chores fun helps your kids take practical life skills and become responsible. Give them lots of praise for their accomplishments. However, don’t expect perfection straight away. Here are 7 incredible ways to make household chores fun for your children. Rewards can’t make hard work seem more fun for your kids. However, setting up a reward system helps your child have more fun while undertaking their chores. It can be in the form of a simple treat at the end of the weekend. It could also be a small weekly allowance for teenagers. A good approach is to reward kids with stickers as house chores for children are completed. The child with the most stickers gets the end of the week award. With a reward system, your kids will have something to look forward to achieving. That’s a tip on how to get children to do chores in a fun way. Don’t be afraid to turn your kitchen into a dance hall. You can appoint one child to be a DJ and another one to be a chef. The chef chooses what to prepare for the dinner such as smashed tomatoes or a simple salad. Conversely, the DJ decides which dance tunes to include on a playlist. That way everyone can dance around the kitchen while washing utensils and preparing dinner. You could also promote play during the laundry. You could have a singing contest where each kid takes turns singing loudly from the room they are cleaning up. Children could also pretend to be robots or characters from a favorite movie. Let your children take part in deciding what to cook at least once in a week. However, inspire them to cook different meals. That makes them bright in planning and organizing meals. As such, cooking becomes a fun activity rather than a dull chore. You could also allow your kids to make unusual but edible concoctions. You could also ask a child to clean a sibling’s room instead of theirs for a change. Make chores a family activity. Instead of having each child working alone, encourage teamwork. Involve every member of the household. 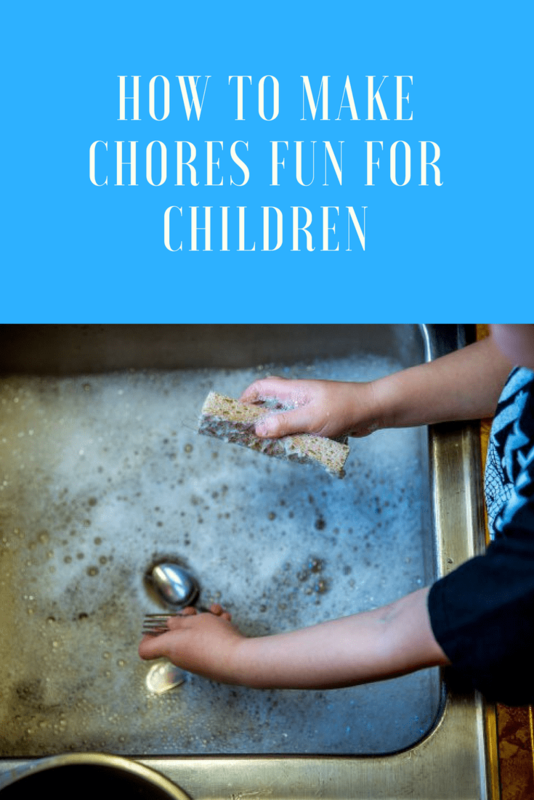 Examples of good chores for kids would be two children setting the table together, fixing the bed, or moving the laundry from the washer to the dryer. Importantly, keep track of the completed chores. You can take pictures before and after the task so that the child can see the work they have done. Again, introduce new household chores to your kids in a calm way when they are fresh and can concentrate. Act like you are giving them a special treat. If they learn in an unhurried way, it makes them feel close to you. That helps them feel competent to complete chores on their own. Being authoritative is not motivating to kids. Allow them to take part in decision making. That helps in preserving their sense of self-assurance and self-reliance. Instead of being authoritative, use gentle suggestions. Give them confidence in what they are doing. For example, encourage them to make their beds and clean their rooms using natural cleaning products that work efficiently. 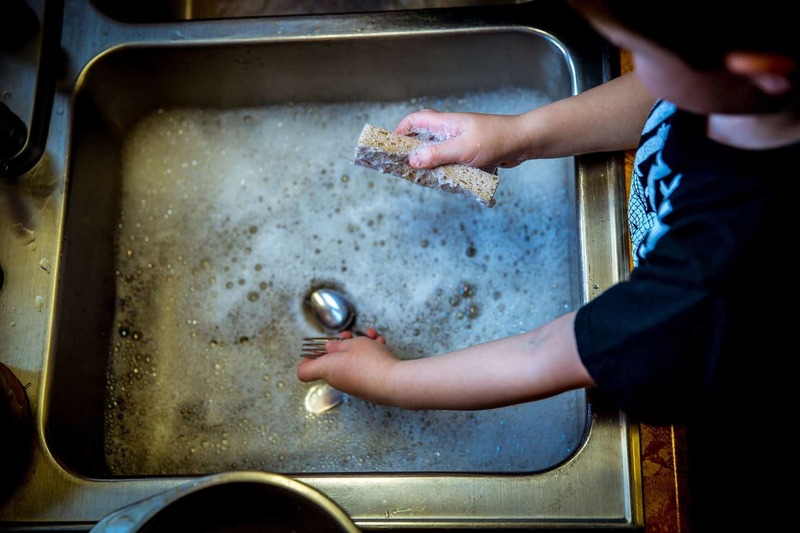 The more sovereign kids feel, the more motivated they are to complete chores. As such, kids are much more determined to accomplish their tasks. While you may think making the bed is easier than doing laundry, your kids may disagree. Let them decide what house chores to undertake. Allow them to choose from the list of available tasks. That allows them to have control over their duties. Children will feel happy choosing the tasks to undertake each day. Allow kids to take part in activities that seem overwhelming. Let every child crave the feeling of being important to each other. Appreciate your kids when they help fold and put away a mountain of laundry or walk the dog. Your children may get bored with mundane chores such as throwing out the garbage, making the bed or vacuuming. Therefore, design creative tasks. Let them come up with creative ideas for exciting household chores. It could be cleaning the bathroom while taking a shower or cleaning the hamster cage. Challenge them to hurry up. Never criticize your kids during or after completing their chores. If you criticize them, you discourage them to finish their tasks in the future. Instead, compliment what they do wrong with their proficiency. In fact, you can give them some pointers to horn their skills. About author: Riya is a writer who enjoys decorating her home, crafting, trying new recipes. She is also a runner who likes to enjoy the morning breeze. Her Twitter, @sanderriya. I used to give my children small chores such as dusting their bedrooms, as teenagers, my stepson told his mum that I made him scrub the entire house!